A-Pro Home Inspections Concord provides a structural inspection to its clients as part of our 500-point home inspection with a written opinion of the performance of the Structural Systems. “The term structural system in structural engineering refers to load-resisting sub-system of a structure. The structural system transfers loads through interconnected structural components or members. Commonly used structures can be classified into five major categories, depending on the type of primary stress that may arise in the members of the structures under major design loads. 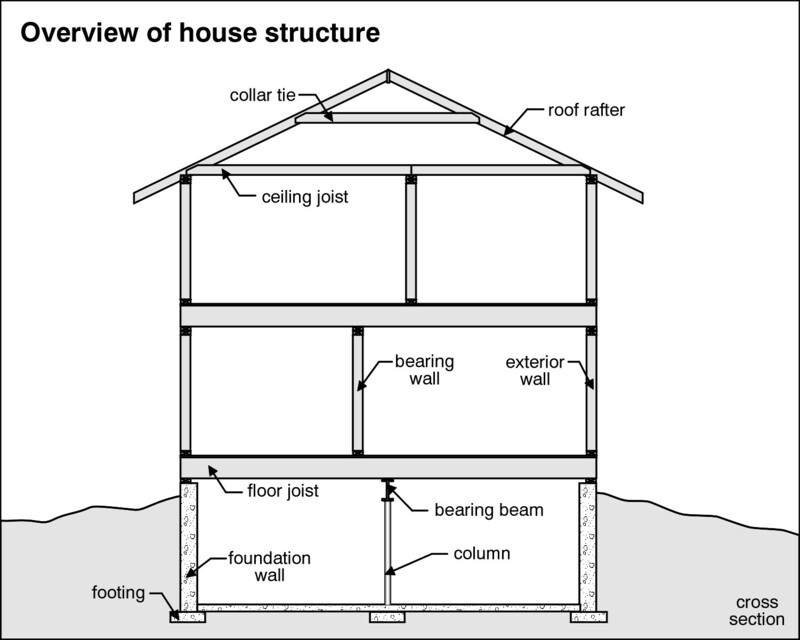 However any two or more of the basic structural types described in the following may be combined in a single structure, such as a building or a bridge in order to meet the structures functional requirements”. A-Pro utilizes a Foundation Level Survey device to perform the structural inspection and it is an integral part of the A-Pro home inspection protocol. This unique service of the foundation is by far the most important analysis of any home inspection. During structural system inspection we inspect everything from rooftop to foundation and include a cad type drawing that shows any differential settlement with the foundation. Tagged certified home inspector Concord NC, licensed home inspector Concord NC, professional home inspector Concord NC, roof inspection, roof inspector Concord NC. A-Pro, since 1994, and has performed hundreds of thousands of home inspections throughout America.